Recently I was at my parent's house and my Dad asked me about setting up Drupal. He had read my Nimfahtography post and was wondering what it took. Since I use Drupal almost everyday, I suppose I take this for granted. 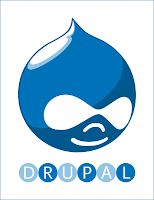 Here is the easiest way that I have found in setting up Drupal on Windows XP. This setup will be similar on other systems as well.